Guerrilla Games talks about the goings on in what it calls the biggest Dutch multimedia product ever. Success in the games industry comes down not to hardware but to the games running on it, and for Sony's new console the one game many people are looking forward to most is the dystopian future military shooter Killzone. "With Killzone, the expectation internally and externally is very high," Sony's Phil Harrison said in an interview with the official PlayStation magazine reprinted at blog ThreeSpeech. "I won't show it until it's going to exceed people's expectations." 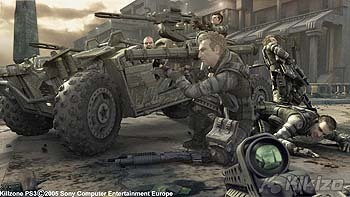 Killzone has been tagged as one to watch ever since Sony debuted the game with an impressive trailer at the Electronic Entertainment Expo in Los Angeles in May 2005. It later turned out that most of what was show was prerendered on high-end workstations, but Harrison says in the interview that "some elements already exceed the trailer". The job of meeting those expectations falls on the hundred-plus developers working at Guerrilla Games in Amsterdam. The company has grown a lot over the past few years, mostly thanks to the extra work that needs to go into modern games and their high-definition graphics. "For the PlayStation Portable you make characters at 50-by-50 pixels," Guerrilla's Arjan Brussee told Dutch newspaper De Volkskrant. 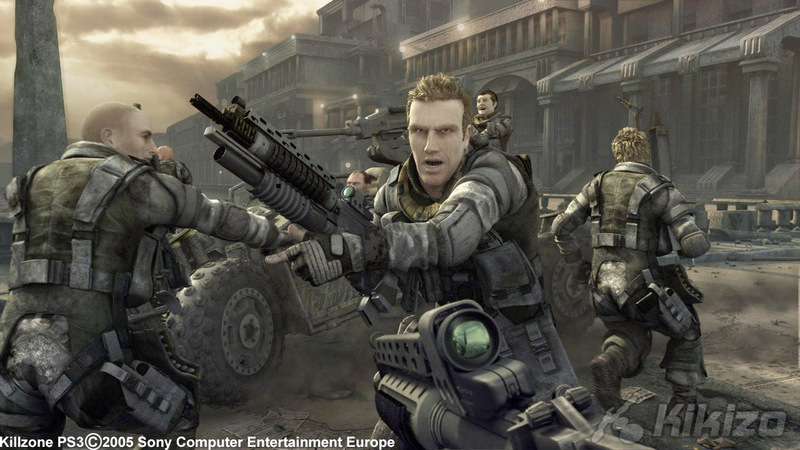 "For Killzone 3, the hairs on a nose must be able to move. What took one man a week now takes him a month." Killzone for the PlayStation 2 took just 40 people to make, and even the PSP spin-off, Killzone: Liberation, took 25 developers. The head count for Killzone for the PlayStation 3 already stands at 120. Many of those are native Dutch developers, but more and more the trend is to recruit globally. Now over half of the team is from aboard. And even that isn't enough. Guerrilla has turned to outsourcing, both in the US and China. Brussee admitted to De Volkskrant that "they're not cheap, but they are efficient". A recent spate of reports about bad working conditions in China prompted Brussee to make sure the people working on his game were being treated well. "You want to know if your work is being done in a sweatshop, with exploited workers and no emergency exit," he told De Volkskrant. Brussee had nothing to worry about. "They're in a nicer building than us," he said. Like the people who work on them, the audience for games is increasingly more widely spread than in previous generations, and to make the most of that larger pool, developers need to tweak their games to better suit different countries. Not surprisingly, game translation has become a big issue. "You sell 30 to 40 per cent more with a translated version," Brussee said in the interview. 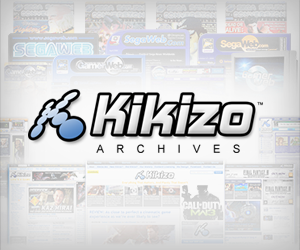 Killzone for the PS2 was translated into 13 languages, and that pushed sales. It was the best-selling game in Poland, says Brussee, thanks to Guerrilla taking the time to put out a Polish version. 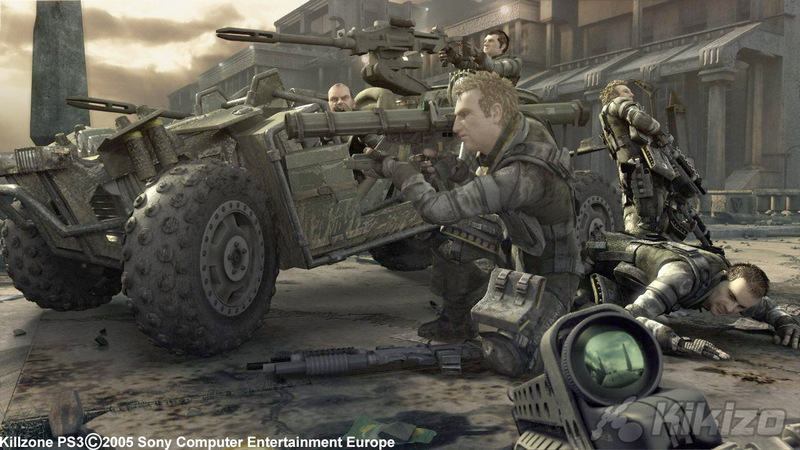 Killzone for the PlayStation 3 will be available in 20 languages. Of course, working on this scale, and for technology as advanced as the PlayStation 3, doesn't come cheap. Neither Sony nor Guerrilla is talking numbers right now, but the bottom line is suspected to be big. "We are working on the biggest multimedia project in Dutch history," Brussee told De Volkskrant. "Isn't [director Paul Verhoeven's €16 million war film] Zwartboek called the most expensive Dutch movie ever? Our budget is above that." Unlike Verhoeven's movie, though, the rolling of the credits doesn't spell the end of the experience for Killzone. De Volkskrant says Guerrilla is working on new downloadable chapters for the game. 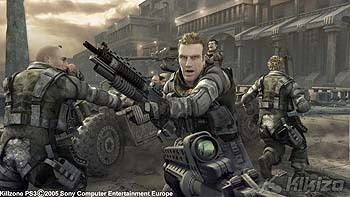 Said Brussee: "The Killzone 3 that is in stores soon is just the beginning."